MedicAlert doesn't just "alert" we inform and guide. We ensure your medical information gets to emergency responders, nurses and physicians the moment your MedicAlert ID number is provided. Your comprehensive medical history, directives, precautions and wishes are communicated instantly, so that no time is lost "getting up to speed" or worse, "guessing" about your condition. We protect Malaysians when they're most vulnerable. But we're a charity, not a business. 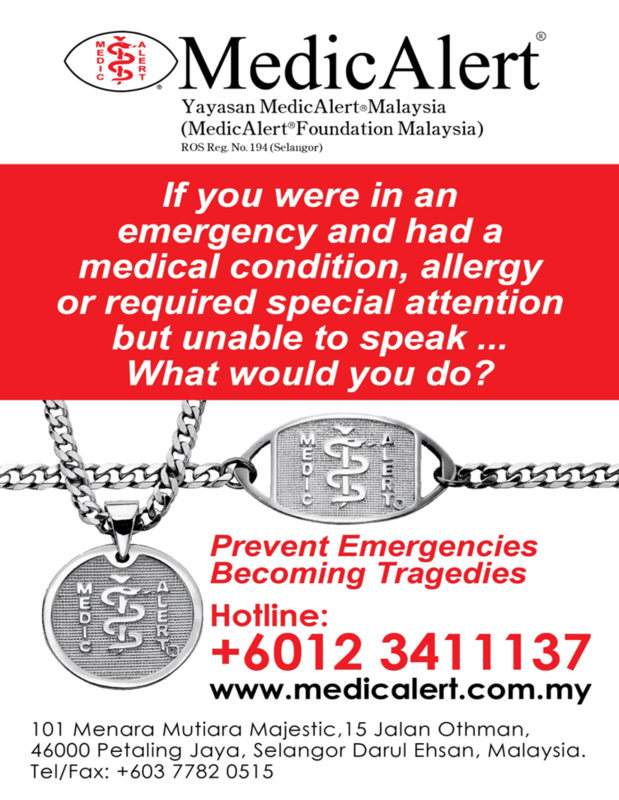 So we need your help to keep Yayasan MedicAlert Malaysia strong. Help hundreds of children and families get the protection they desperately need during hard times. We speak for people when they're helpless, sharing their medical needs and calling their loved ones. Your contribution is tax deductible under "Potongan Di Bawah Subseksyen 44(6) Akta Cukai Pendapatan 1967: Rujukan: LHDN.01/35/42/51/179-6.1298, Tarikh Kuatkuasa: 1 Julai 1967, No Warta Kerajaan: 2949, Tarikh Warta Kerajaan: 17.1.1969" Donation Official Receipt is provided for your tax records.